A couple of weeks ago, newly released from classes, I did something I never, ever do any more: I took myself to see the new Jane Eyre, starring Mia Wasikowska and Michael Fassbender. 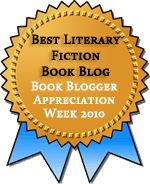 Jane Eyre is a novel I love and have read many times, so I was a little nervous. I needn’t have been. Within the constraints of a two-hour film, it was very good, about as good an adaptation as it could have been. It was well-acted, especially by Judi Dench (of course.) It was atmospheric, as all Gothic novels should be. It didn’t overplay the madness and it didn’t underplay Jane’s strength of character. It let an understanding of Rochester build that permitted him to be ambiguous, as he is in the novel: a man who is accustomed to have everything he wants, and convinces himself that he may have even Jane, even at the cost of her ruin; yet is essentially decent. It was extremely well done in almost every way. Of course, what would be the fun of letting it go at that? I did have a couple of problems with the way the film dealt with the material. My problem was not with the treatment of Lowood, though it skimmed rapidly over that part, which is interminable in the book. I’ve also never seen a Rochester who was as ugly as Bronte supposes him to be, but I was actually grateful for both of those things, which are necessities for a film. However, I thought there was one misreading of the text and one loss that could have been repaired if it had been dealt with differently. The misreading was St. John Rivers. He’s presented in the film as a complete… sorry, I’m trying to think of a family-friendly term… nope, nope, douchebag is pretty much the only way I can think of to say it. In the book, he’s a zealot who requires as much sacrifice from others as he is prepared to give himself. Sure, I wouldn’t want to marry him, but I might go to India with him in a pinch. In the film, he’s angry, dismissive, and apparently unable to hear Jane’s words without mocking them — I wouldn’t go to Devon with him, let alone Calcutta. The great loss in the film is, of course, Jane’s voice. 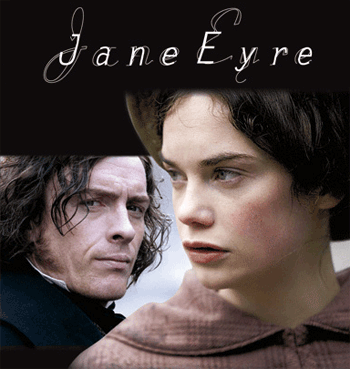 Jane Eyre the novel is told in the first person, as if it is a book Jane is writing, and every scene is filled with her own personality, her experiences, her point of view. The film sees Jane from the outside-in, sometimes when she is unconscious or sleeping, and we hear her voice only when she actually speaks. I would have loved to hear some narration in voice-over, handled the way it was in Jane Campion’s film The Piano, perhaps. This might have given that sense of Jane’s own vision coming through. Overall, it was a wonderfully enjoyable film, and one I’d watch again. Have any of you seen it? What did you think? Fantastic review. I absolutely loved the film, too! It did an awesome job of fitting the story into the time frame. I thought Fassbender was fantastic as Rochester (totally crushing on him now) and Mia did a wonderful job as Jane. I’ve never liked St. John, so I didn’t particularly have a problem with his portrayal. I agree, though, voice-over perhaps would have enhanced the film, and maybe a little more time in Lowood would have been more effective. But I came out of the theater thinking it was one of the best book adaptations I’ve ever seen, and I’m dying to watch it again. I’m not complaining about the lack of time spent at Lowood! I would actually prefer less time spent there in the book! But St. John Rivers’s portrayal did bother me, as he is such a crucial figure in the book. It’s not out in the UK until September but I’m definitely going to watch it. I’ve seen a few adaptations and quite liked Charlotte Gainsbourg’s when she did the film years ago. Interesting about St. John as I never saw him as someone unpleasant, although he’s rather extreme. Extreme, that’s the word. And so is Jane! She has always been passionate, even as a child, and so extremism isn’t necessarily bad. But in the film he’s unpleasant, at least in my view. Of course Judi Dench was the best thing in the movie. Mia and Fassbender were pretty good, but Judi stole the show. Maybe it is just too long to be compressed into a 2+ hour movie. I think books in general are better suited to a miniseries format, which to me is more like the chapters in a book. To clarify, I am NOT complaining about Lowood. I think trimming it is necessary. But I can’t believe I didn’t mention in my post your point about the ending! I totally agree that it was much too abrupt. No “Reader, I m****** him”? No seeing Rochester get back part of his eyesight? No heir? They kind of dumped us at the foot of that tree, didn’t they? I was very disappointed not to here that classic Reader line, too. I would’ve liked a bit more Lowood (Miss Temple!) and more of the Jane/Rochester encounters, too, although I understand that the movie would’ve been hecka long had they included everything everybody wants. And I thought St. John was way worse in the book…but then I’ve only read it once. I loathed him more when I read him. I enjoyed the movie especially since it inspired me to reread the book. I didn’t find the construct of starting on the moor added anything, but that’s a minor quibble. I didn’t mind the flashback formula, since the novel is sort of looking back over Jane’s life from an adult perspective. It worked for me. I loved the movie. I have to respectfully disagree with Karen that Judi Dench stole the show – perhaps you have to be English to notice, but her Yorkshire accent was absolutely terrible and very off putting. I was disappointed in her! I wrote a review of it a while back. I actually thought that Jamie Bell’s St John was very good – his simmering anger wasn’t very well explained as they didn’t include Rosamond, but I definitely felt he brought across the fact that he was a man who had chosen to deny himself all earthly pleasures extremely well. For a film version, without the length of a TV series to develop the plot, I think they did an excellent job of bringing the novel to life and creating the right atmosphere, both physically and emotionally. I loved it. I actually liked that it didn’t focus too heavily on the Lowood section – I always find film portrayals of it very melodramatic! Oh, Rachel, this made me laugh — I didn’t even know from Judi Dench’s accent that she was *supposed* to be from Yorkshire! I agree that if that’s the case, it was terrible. But her acting was terrific, so maybe it balances out? I can’t agree about St. John. If he’s angry but the anger isn’t explained, then it just looks like nastiness, which is how it came across to me. I would agree about the asceticism, and the acting was good, but instead of looking like someone burned pure of normal earthly motivations, he just looked like someone ready to poke holes in *your* motivations. I also liked that it didn’t focus on Lowood! I must not have said that very well in my post. I wish Charlotte Bronte hadn’t focused as much on Lowood as she did, in fact — I never remember how long that section takes in the novel. Wasn’t Judi Dench born and raised in Yorkshire? I’ve not seen it yet. Glad it is pretty good all things considered. Too bad about the portrayal of St John though and cutting Lowood short. Yes, given the time constraints, I thought it did a good job, barring St. John and the ending. Lowood I was happy with, though. The less time spent in Lowood, the better, as far as I’m concerned. I was sad about the scene at the end! The scene at the end was so not like it was in the book, and since that scene is the whole reason I read the end before I read the middle and that scene’s been simmering in my brain for, like, ever. Why was it outside? And why didn’t they say all the things? I was sad about all that. I don’t care whether they did it inside or outside, but leaving us there without telling what happens seemed way too abrupt. I waited all the way through the credits just to see if they would show something else! I felt… as if there were something missing, that’s how I felt. And there was! I still haven’t seen this, and I’ve wanted to ever since reading Rachel’s glowing review. I’m not surprised St John is depicted as a douchebag; I think most readers see him that way. My feelings are closer to yours, I think. I’ve known a fair few St John Rivers types, and I find them exasperating at times, but I can appreciate their conviction. I’ve known some of those types, too (some of them women!) and I think that’s partly why I have a sneaking fondness for him. At this stage in my life, I can also remember that he’s very young. A lot of my students act like this sometimes. I missed this movie when it played in Korea. I’m still walking around with a pouty face. I can see why! I hope you get a chance to see it on DVD. I want to see this so badly, but it won’t be released here until October. Crazy region bound film releases. Did I mention I have been frustrated about this for oh, 4 months, now? It sounds like it does a fine job. I don’t mind Rochester being less ugly (I agree, it is part of it being a movie) nor does it seem weird that Lowood receives less attention in a 2 hour movie, but I agree, it is essential for who Jane is. I always understood John Rivers to be so zealous he forgets about the humanity inside others, at times. It is, I think, Brontë’s image of religion taken too far. However, a douchebag? I think it has to do with modern perceptions of religion and so “let’s make the missionary a douchebag, most people would understand”. I don’t know, modern simple dismissals of religion without looking at the other sides of it gets to me. I’m not religious myself, but it is still.. annoying to see how people reduce it to something ridiculous in movies and etc. I liked it a lot. Personally, I found St. John to be a douche in the book too, so that was fine. But I was bothered by Rochester being handsome, and not losing his hand at the end. Also I was disappointed that the big party scene with the “fortune-teller” was cut. I was surprised about the fortune-teller, too! That would have been such a vivid scene. But Rochester being handsome didn’t surprise me at all. It’s a movie! Jane is supposed to be plain, too! I think this new adaptation is the best of the Jane Eyre feature films that I’ve seen. I was surprised by where it ended, but thought it fit the tone of the film. The proposal scene fell a little short, like the actors weren’t really feeling the lines, just saying them. In contrast, the scene where Rochester is trying to convince Jane not to leave him was very good & intense. The best adaptation is actually the one that you have a picture of in this review post – the fairly recent BBC miniseries with Ruth Wilson and Toby Stephens.